Size: Sidneyia is 5.8 inches long! This is an extremely collectible fossil. 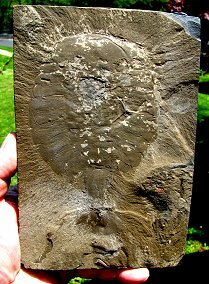 It is a HUGE Sidneyia inexpectans from the famous Burgess Shale locality. 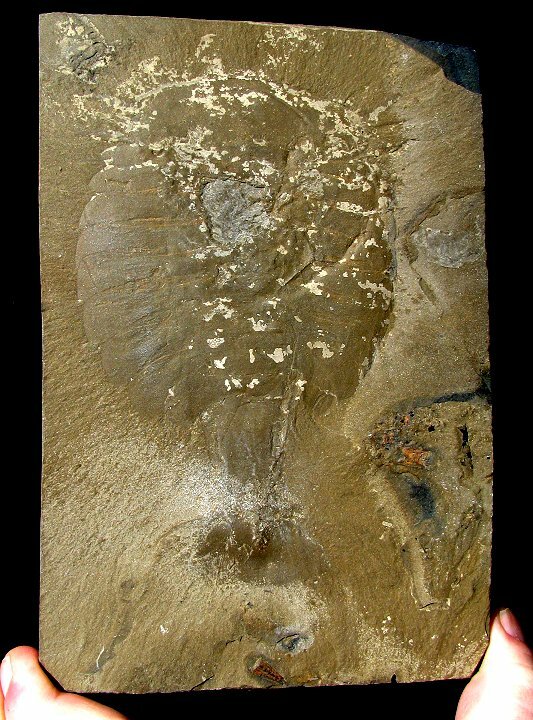 This classic specimen is from an OLD collection - specimens can only come through old collections. Sidneyia is one of the largest and most collectible fossils found in the Burgess Shale. 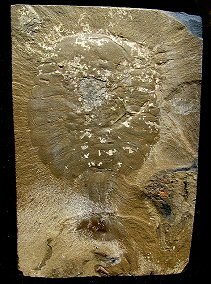 This specimen is complete and even has BOTH antennae preserved! (hard to see in photos). The individual segments of the arthropod are very easily seen. 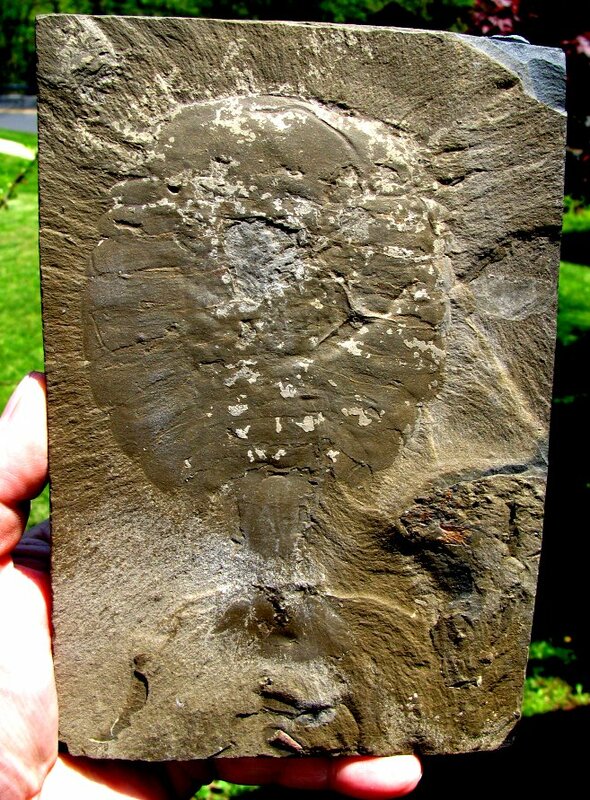 This cool specimen is fully natural - the matrix hasn't been "enhanced" with chemicals to give it false contrast! And the Sidneyia is HUGE - almost SIX INCHES LONG! This is a spectacular Burgess Shale fossil - one that WILL be the centerpice of any fossil collection! !